A woman, Omolara Oluwagbemi, has killed her would be husband two months to their wedding in Ijebu-Ode town of Ogun State. The Ogun State Police Command Public Relations Officer, Abimbola Oyeyemi, who confirmed the incident to Premium Times on Friday said the suspect has been arrested. 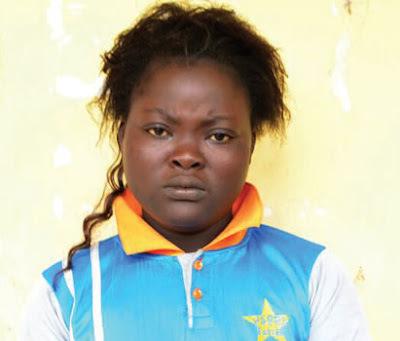 “The men of Ogun State Police Command have arrested one Omolara Oluwagbemi Abosede for killing her husband, one Sodiq Dauda,” Mr. Oyeyemi said. ‘The incident happened when the couple whose wedding was slated for December this year had minor disagreement which emanated from non rendering proper account of the gas business which the late husband entrusted to the wife,” he added. Mr. Oyeyemi said the suspect during interrogation claimed that her husband beat her up and sent her away from their apartment. Ms. Abosede reportedly told the police that she went back home after calling her mother-in-law to be who said she would settle the dispute. The police spokesman said the suspect stated that immediately she got home, the husband descended on her, beat her and broke a bottle with which he threatened to stab her. The suspect also reportedly told her interrogators that it was then she took a kitchen knife with which she stabbed him on the rib. “The victim was rushed to Ijebu-Ode General Hospital by the policemen at Igbeba Division but gave up the ghost the following day while undergoing treatment,” he said. Mr. Oyeyemi said ‎the Commissioner of Police, Ahmed Iliyasu, has ordered that the suspect be transferred to homicide section of State Criminal Investigation and Intelligence Department, SCIID, for further investigation.